Prime Minister Narendra Modi addressed the Ashara Mubaraka, Commemoration of the Martyrdom of Imam Husain (SA), organised by the Dawoodi Bohra community, at Indore’s Saifee mosque, Friday. Over one lakh people were present at the event. 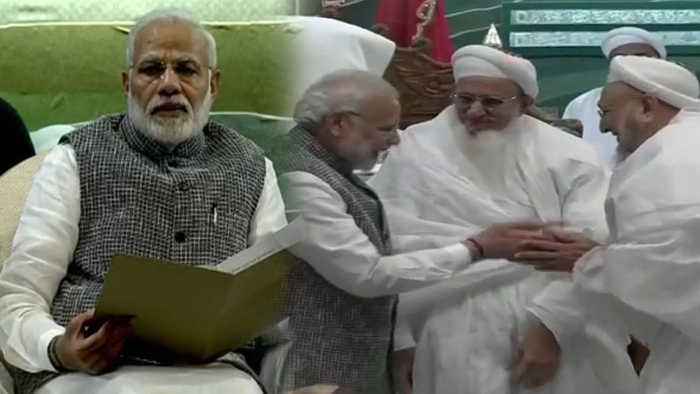 Modi also met the religious head of Dawoodi Bohra community, Syedna Mufaddal Saifuddin, who had been made a state guest by the Shivraj Singh Chouhan government. Saifuddin felicitated PM Modi after his speech.